Steve J. Duckworth discusses the membership of MedPharmPlast Europe, and how the expansion hopes to provide a more informed and unified voice in Europe. The market in plastic medical devices and pharmaceutical packaging continues to grow, and plastic is at the heart of delivering innovation in this market. The industry faces numerous challenges, including important and complex changes in the European legislation, the increasing need to get information through the whole supply chain in an efficient manner, as well as global markets and varying regulatory requirements, to name just a few. Many of these regulations have, at their base, the need to better characterize and control the plastic materials that interact with the patient, the drug, or influence reliability of devices. 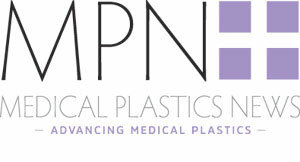 Established in 2014, MedPharmPlast Europe (MPPE) brings together experts, creating well-informed and effective advocacy representing the whole value chain: from plastics producers to medical device manufacturers and pharmaceutical packaging manufacturers, and those involved in testing materials and final products at the European level. MPPE is the voice of the entire value chain of plastic medical devices and pharmaceutical packaging in Europe. The association represents the interest of these industry groups and interacts with the European institutions to support the delivery of final regulations workable for the industry whilst protecting patient safety. MPPE holds two major events on a yearly basis. In summer, a public two-day conference focusing on regulatory topics from a European and global perspective held in changing European cities – often in combination with site visits. In November, all MPPE members get together for the Annual General Assembly as well as an internal conference with expert speakers for members and invited guests. “The high-level speakers and increasing numbers of participants at our events, show that MPPE is a serious player in Brussels offering added value to the European supply chain of plastic medical devices and pharmaceutical packaging. In July 2018, we brought together more than 50 industry experts in Lyon for our summer conference “Material Characterization & Risk Assessment” to discuss changes to the ISO 10993 set of standards, EU and US Pharmacopeia, the Medical Device Regulation, the VDI 2017 Medical-Grade Plastics Guidelines, and much more”, concluded Duckworth. At the heart of MedPharmPlast Europe is its regulatory taskforce with its technical, regulatory and monitoring activities for the association members. Through close collaboration with EU institutions and engagement with EU regulators and other decision-making bodies, this group supports the development of more sustainable medical devices and packaging solutions and helps its member to address emerging issues related to this sector. Additionally, it provides a forum for members that wish to contribute directly to the positions and activities of MPPE. The regulatory taskforce is chaired by Nigel Talboys, global director of government affairs and public policy at Terumo. MedPharmPlast Europe has been successfully expanding its membership from the entire value chain leading to a more informed and unified voice essential for members and the industry.